November 12th was "Maximum Fighting Championship 27" and I was in Edmonton with Brian and Nick Ring to help corner Brad "The Bonesaw" Cardinal for his MMA fight. It is very inspiring to watch the guys compete in MMA. It was in 2006 that I had my first and only MMA match and lately I have been getting excited to get back in the cage get it on. This was only the second time I have been in the corner for a fighter and I must say, I much prefer fighting than coaching although I always like being where the action is, no matter what. 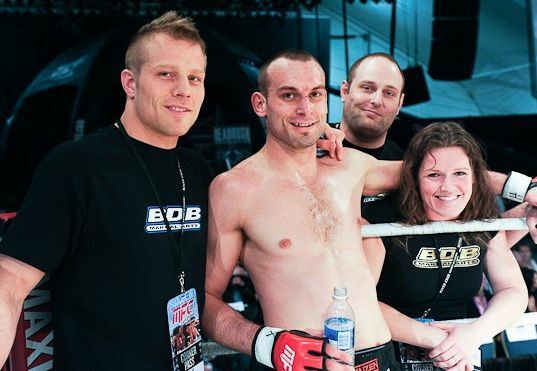 Brad won his fight by triangle choke in the 2nd round so his record is now 12 - 5.